A short drive from Breckenridge, Keystone and Copper Mountain Resorts, the Frisco Adventure Park boasts a free bike park, a disc golf course, a skate park and miles of trails for mountain biking. All for free! 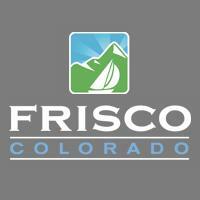 While the Adventure Park does not offer bike, disc or skateboard rentals, Frisco's business district is just minutes away with many full-service sporting goods stores and rental companies. Discs for disc golf are available for sale at the Frisco Adventure Park Day Lodge.